Innovative funding models, such as giving circles, innovative financing and collective impact, are focused on sustaining social impact and scaling social purpose organisations (SPOs). However, is collaborative funding the key to helping SPOs scale and achieve full impact? Maximising impact with multiple stakeholders – having a single donor/recipient model is a start, but when you bring together a group of people you can achieve greater scale and attract more prominent organisations to the cause. Yet, what makes or breaks collaborations? The most common cause of why collaborations are unsuccessful may be because stakeholders do not pay attention to the terms of the contract. Traditional ways of approaching the social issues of the world have not always been successful, however, do the solutions lie in donating more money and forming more collaborations, or is it more about approaching matters differently? 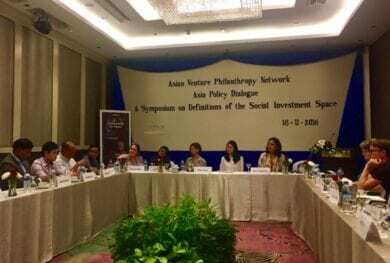 Last week, at AVPN’s 6th annual conference in Singapore, I attended a workshop on collaborative innovative funding, which explored the advantages and challenges of collective funding, and how to make these focused partnerships work. 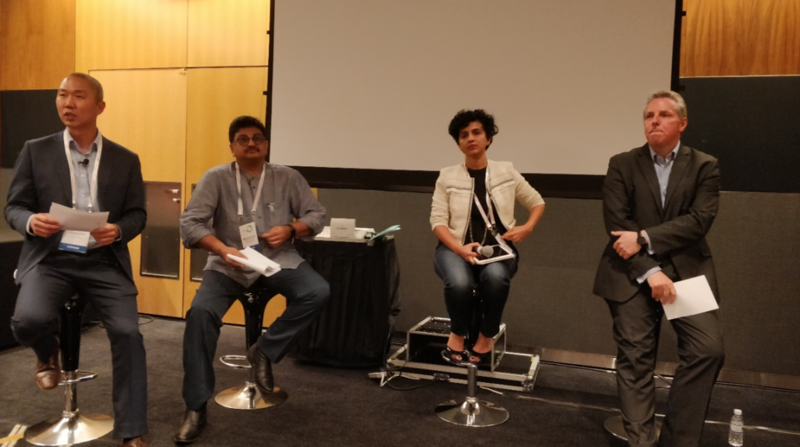 Moderating the workshop was Harvey Koh from FSG, who was joined on the panel by Richard Hawkes of British Asian Trust (BAT), Liza Green fromCredit Suisse, Deval Sanghavi from Dasra, Naghma Mulla from Edelgive Foundation, and Milind Antani from Nishith Desai Associates, India. Often driven by the desire to generate greater impact, panelists have found that maximum impact was not achievable through the traditional individual donor/receiver model. They found that a collective group of people are able to achieve better results through the scaling and pooling of resources, which then attracts multinational programs (e.g USAID), family offices, governments and media to their cause. The ambition is to gather many stakeholders across the process, ultimately leading to a more powerful influence on governments to explore, adapt, and implement policy changes. Other advantages of collaborations were also highlighted by the panel. 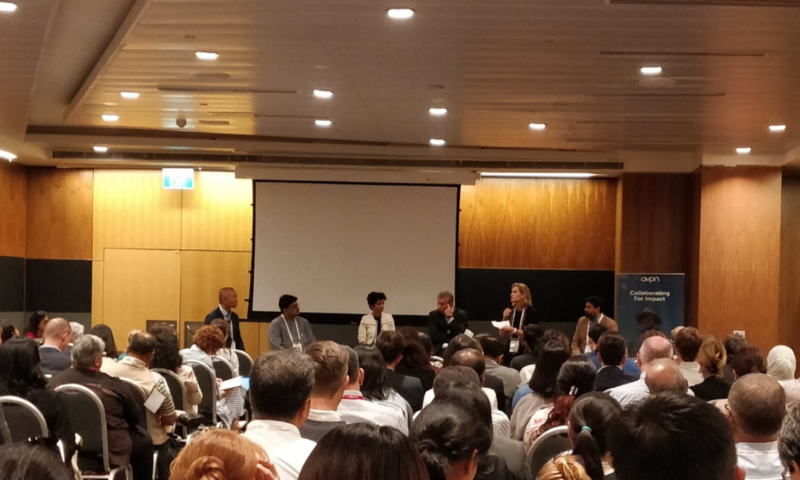 At Credit Suisse Hong Kong, funders can come together and either co-fund or put the opportunities on a platform for others to join; a key feature is that there are no strong constraints or restrictions on funders, leading to a more flexible platform which can attract more interest. While it is a collective platform, not everyone has to do everything together. Naghma agrees on the need for there to be an understanding that alone, you can’t be great at everything, but you can collaborate with people and organizations with complementary strengths and skills. An additional benefit of collaborations is the ability to absorb the administration/operations work of NGOs, allowing them to focus on their work. The idea of a collaboration is always very exciting, offering the opportunity to work with respected partners. However, there are also reasons why some partnerships just don’t work out. The key feature of a successful collective is having a common agenda. There is often not a lot of trust built between the parties, or a fear that money is not being utilised as intended. It is essential for all stakeholders to understand the terms of the contract and let go of their own egos and desire for credit; the common focus must be on the beneficiaries. So how do you deal with ego attribution in collaboration? The final results of any collaboration have to be shared amongst all participants, and this must be accepted by all at the outset. Large corporates and well recognised organisations are able to use their name and brand to bring credibility, however, if they are looking for personal attributes, it may be the wrong model for them. To ensure the value proposition is met, problems and solutions should be revisited with all stakeholders present, with no-one being beheld to another. A few questions stood out amongst the audience: is collaborative funding simply a repackaging of old activities? Is it capitalist in nature and does it write off philanthropic giving? The panelists believe the role for philanthropy does exist, but there is a need for other ways to meet targets so people aren’t just simply writing a cheque. Richard from BAT argues that we need to look at new methods of tackling problems. The answer may not lie in more money or more collaborations, but in doing things differently. Funders tend to fund causes they are personally motivated by, but they should focus more on the results they want to achieve. As an example, BAT recently launched a $10m development impact bond with four partners and a group of donors. This was a large collaboration, with all parties focused on the potential outcome. Donors weren’t allowed to get involved in the activities and were only permitted to donate. In this instance, a diverse group of people willingly collaborated for a cause with a mutually desired outcome – increasing education opportunities for 300,000 children. 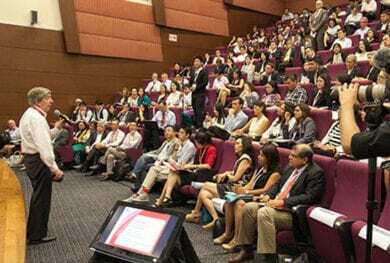 Is collaborative funding the key to assisting SPOs and scaling impact? It is fine to not join a collaborative; if you believe in your purpose, follow your passion. However, if the desired outcome is what you and your organization are genuinely interested in and it is beneficial to all stakeholders, perhaps a collaborative is a viable option. What’s important to remember is not to collaborate for the sake of collaboration, but to collaborate to innovate. Meeta has 10 years experience in the asset management and hedge fund industry, specialising in product management and client relationships. 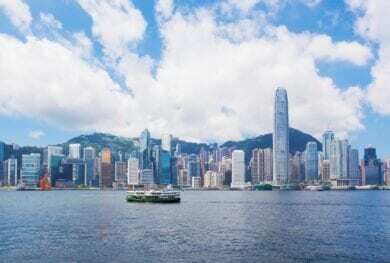 She has worked in both the UK and Switzerland with clients ranging across Trusts, Foundations, Private Wealth Banks and Family Offices, spanning the broad spectrum of financial strategies. She also spent time in India providing support to a government sponsored NGO focused on rehabilitating street children in Delhi, where she worked with the CEO and management team to further develop their marketing strategy. Meeta is a CFA Charterholder and holds a Bachelor of Science degree in Economics from the London School Economics and Political Science.